The IBM Sequoia is now the world's fastest supercomputer beating Japan's K Computer to the top spot and making the US number one in the rankings after two years of being beaten by both China and Japan. The supercomputer will be put to work by the US Department of Defence as it carries out advanced Nuclear Weapons simulations in an effort to extend the life of the countries current arsenal. According to IBM they had long been planning to retake the top spot and hold it. To make sure this happens Sequoia is 1.55 times faster than its closest rival whilst also being considerably more energy efficient. While the Japanese K Computer uses 12.6 Megawatts the IBM Sequoia uses only 7.9 making it the most effecient supercomputer on the list. 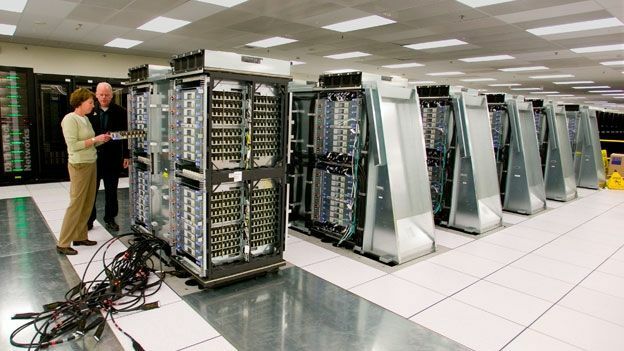 IBM currently holds the record with 5 of its supercomputers appearing in the top 10.